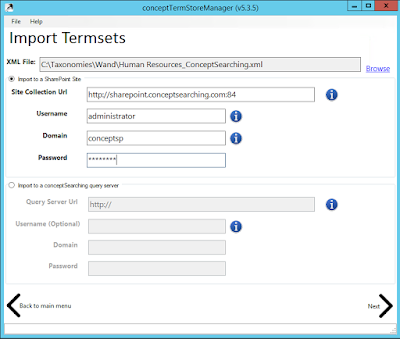 Concept Searching is a provider of a taxonomy management and automatic tagging solution called conceptClassifier. Since conceptClassifier tags documents based upon a taxonomy, WAND Taxonomies provide a great starting point to do tagging in conceptClassifier. Basically, WAND Taxonomies jump-start the development of your taxonomy, and conceptClassifier jump-starts tagging your documents. After you've read this post, if you want to learn more about how to use WAND Taxonomies and conceptClassifier together, please attend our joint webinar called Reduce your taxonomy deployment time from months to weeks on March 15. 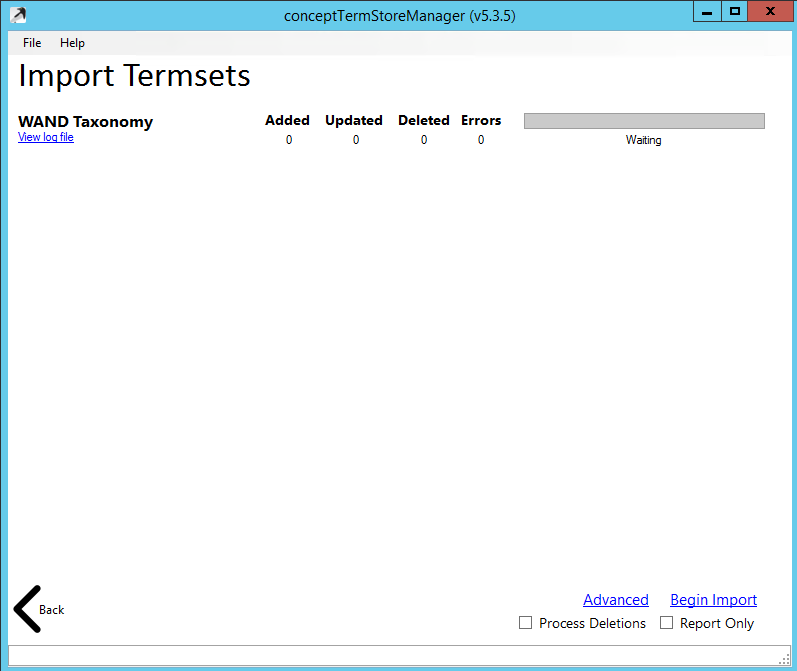 In today's post, we want to show how easy it is for WAND Taxonomies to be imported into conceptClassifier. We'll walk through the process with screenshots. 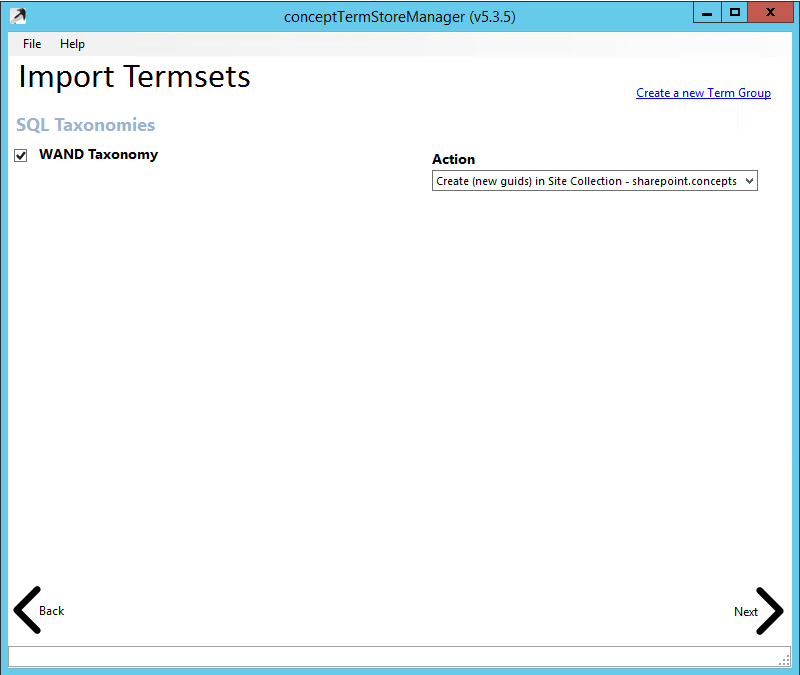 In this example, we'll be importing the WAND HR Taxonomy into the SharePoint Term Store via conceptTermStoreManager. 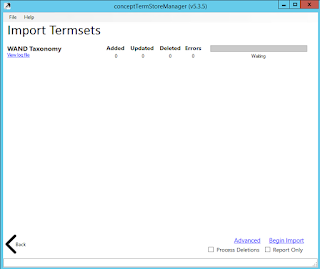 In figure 1, we start in conceptTermStoreManager and click on the Import button in the lower right. Now, in figure 2, you will browse to the XML file for the WAND HR Taxonomy that has been downloaded from the WAND Taxonomy Library Portal. 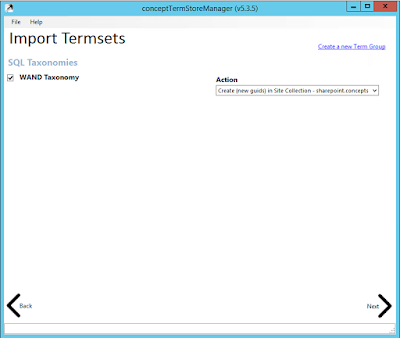 If you are using conceptClassifier, the taxonomies you download from the portal will be specifically formatted to import directly in. 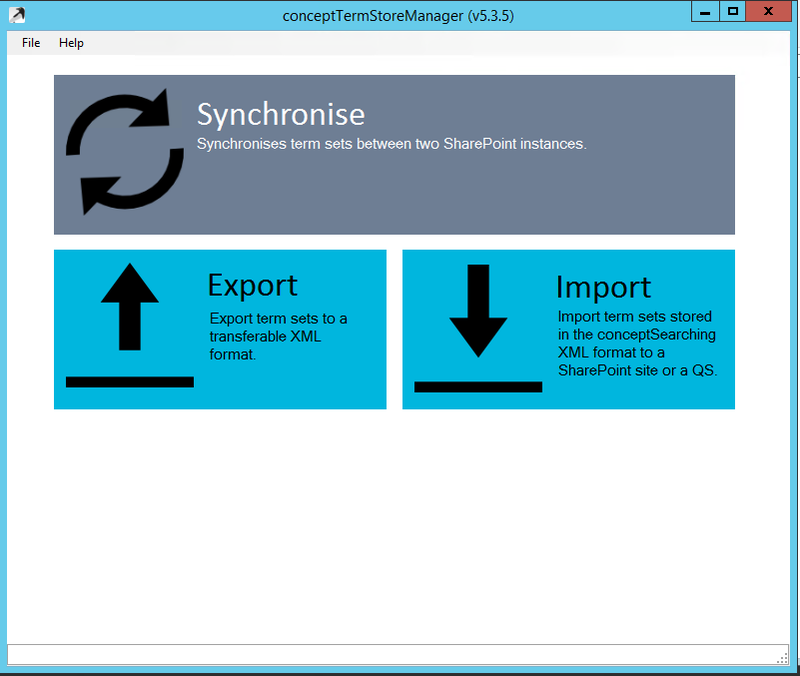 On this screen, you can choose to import to a SharePoint site, in which case you need to provide the credentials, or you can import to a conceptSearing Query Server to be used independently from SharePoint. 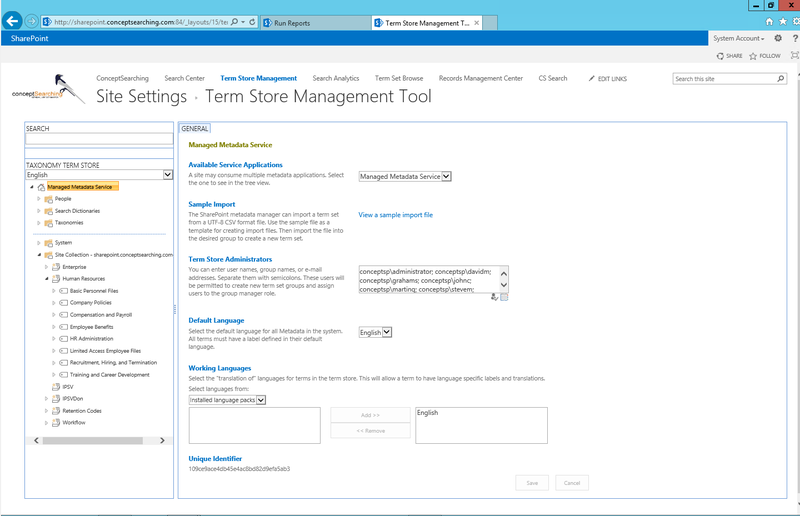 Now, in figure 3, you will choose where in the Term Store to import the WAND Taxonomy. 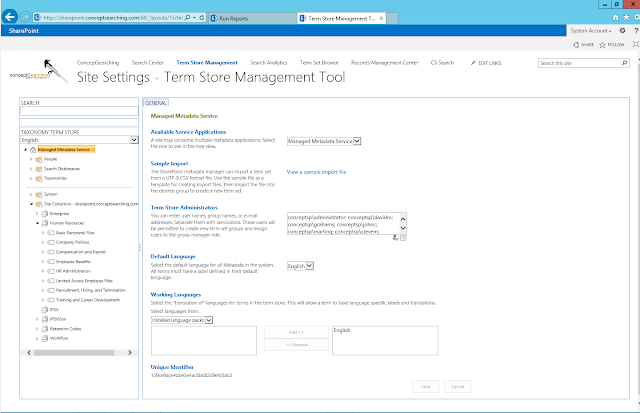 Taxonomies imported to SharePoint this way will reside in the term store and rules for classification/tagging will be stored as term store custom properties. 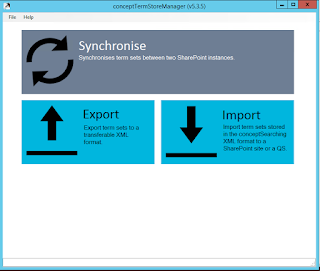 So, it's a very clean, native integration between conceptClassifier and SharePoint. in Figure 4 and 5, we can see that the WAND Taxonomy is now being imported. 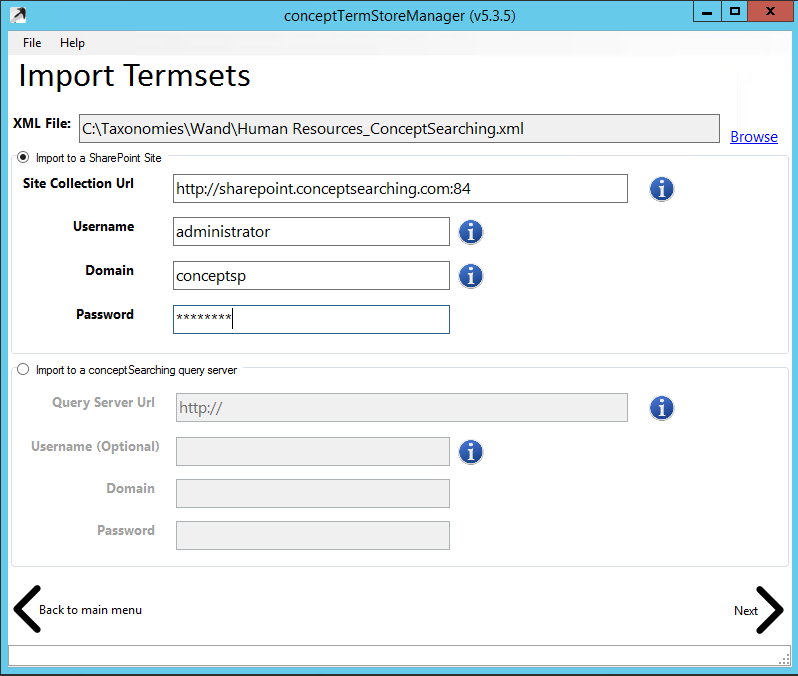 Finally, in Figure 6, the WAND HR Taxonomy is now in the SharePoint Term Store. The taxonomy also appears in the conceptClassifier Taxonomy Manager, shown in Figure 7. You can see that content has already been classified to the WAND Taxonomy in conceptClassifier and we can now begin to refine the classification clues and edit the taxonomy based on this content.